There are some important things to know about January 2019 to set yourself up for success! This is the second eclipse of the year. This is the ONLY Total Lunar Eclipse of the year. And yes, it is also called a Super Moon, Wolf Moon, a Blood Moon (I’ll explain why below). Now, Lunar Eclipses can only occur on Full Moons. This full moon is in the constellation of Cancer, in Vedic Astrology. Sound like a different full moon? Read below about why this sounds different. What you might not realize is that these are cosmic windows NOT for setting intentions, but instead REVERSING HABITS AND PATTERNS that can take both your spiritual, health and financial goals for the year to another level. See the free eclipse webinar below. The constellation of Cancer is about the world of emotions. As long as we are reacting to our emotions, they have a hold of us. This eclipse the full moon is with Rahu in the constellation of Cancer, a water sign. This is normally a place of building consciousness when the moon moves through here, but for the total lunar eclipse, the theme is all about working with the emotions, so they do not have a hold of you. So, if you have been experiencing fatigue, or blurting out reactions, then it is likely you want to do one of at least two things to get the most out of this eclipse season. Allow the emotions to gently bubble to the surface – AFTER you have meditated or found a calm spot. This is NOT the time to “get all of those opinions you have about a person or topic or relationship off your chest”. It is NOT the time to ramble on and let it all out. If on the other hand, you can find 5 – 10 minutes of just quiet sitting with no stimulus, not reading, not drawing, not journaling, not doing anything and then allow whatever is there to bubble to the surface with no judgement, and no need to change what is there. The emotion will express itself LIFT OFF you like letting go of an energetic balloon. 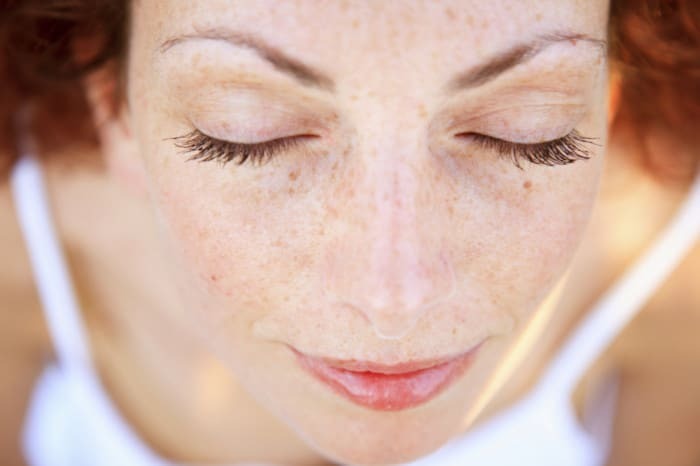 There is a way through emotions which still honors them – it is called breathing and allowing them to surface! It takes approximately a whole 3 – 5 seconds to allow an emotion to surface and then it will transform into another emotion or dissipate. The more that you can ALLOW an emotion to surface (Not egg on the emotion by bringing up anger), the faster you will feel freedom. The more we fight or try avoiding feeling something, the more it will build into something. In Chinese medicine, the emotions that are not channeled for long periods of time are said to injure the body: anger and frustration injure the liver, sadness and unexpressed grief injure the lungs for instance. 2. Dissipate the energy blocked or building up in you with dance, movement, stretching, exhaling with sound, making bubble lips and sounds, shaking and clearing your body, gentle exercise or walking to move the energy and clear emotions in your body. What is nice about this approach, is that there is no analysis needed. Save looking for insights for the last week of January. By moving, stretching, dancing and dissipating energy through your body, it is just like dusting the house. You don’t need analysis to know that things feel clearer and that it looks clearer after dusting. So move that body, make some sounds and stretch – gently. Don’t over do it around the eclipses. This is all about allowing expression and providing an outlet. Rahu can stir the pot and when Rahu is in Cancer and there is a lunar eclipse (again about emotions), we have a triple effect or OPPORTUNITY to clear and find new patterns to work with the world of emotions ~ depression, anxiety, worry, sadness, anger ~ are often about un-expressed or suppressed emotion. This is not a time to just emote or tell someone what you ‘think’ or feel to just express it. This is a time to be with yourself and allow the expression in a whole new way, just for you. It is a loving act to work with the energies in your body and mind and allow them to be. It sets the pattern of acceptance for you, with you and opens you to patterns of self-acceptance and LOVE. I love the idea that we are all going to be dancing or stretching or connecting with nature all in our own way on these eclipse days ~ like a world-wide flash-mob all in the privacy of our home as we clear and make way for more clarity and love in our lives. I’ll be thinking of you as I stretch and do yoga, mantra, organize my kitchen, go for a gently walk and sit with the trees on the eclipse day. Around this all important last set of eclipses in Cancer constellation for the next 9 and 18.5 years, see if you can let your time in nature or meditation dissipate emotions as you allow them to bubble to the surface and release them. Like a temporary work of art – it can be allowed to live and let go for better health and less regret and letting grudges and opinions about others go. The eclipse is visible in the central Pacific, America, Europe, and Africa. This means that those regions on the planet will be able to see the entire darkening of the moon. I have explained all of these principles and how to use them in the Eclipse Course of 2019. With two more sets of eclipses this year, and an intense total solar eclipse mid-year, I would love for you to know how to work with and use these portals for change for your health, vitality and PEACE of mind. If used correctly, you can cultivate immense Peace in the midst of chaos around these times. The total lunar eclipse will last 3 hours and 17 minutes. The time of totality, where the moon will appear the dark red or the ‘blood moon’ will be 1 hour and 2 minutes ONLY view-able from the places on the planet where the eclipse can be seen. Eclipse Duration For total eclipses two values are given. The first is the period between the beginning and end of the partial phases, while the second value is the duration of the total eclipse phase. All Conscious Calendars have the time of the full moon and the local time for GMT, Singapore, Australia and across the Americas at the bottom of every month that has the eclipses. This is a huge time saving feature of the Calendars. At a glance, you can see what days of year are eclipses (called Mega Red Days), which days to focus on for your health and spiritual practice deepening and what is the time of Greatest Eclipse GE, and where the eclipses shadow or are visible from Earth. All total Lunar Eclipses are called Blood Moons because when the Earth comes between the sun and moon (that is what makes a full moon every month), when the Earth is exactly in line with the full moon (only possible for two to three times a year maximum) then, the Earth blocks out the light of the Sun completely from shining on the moon. What is left is all THE SUNRISES AROUND THE WORLD or an orb of light around the earth which is refracted sunlight. This is what gives the moon a magical, and eery orange glow. It is magificent when you think about the light of the sun being blocked and the only the orange light being sent to the moon. At the places on Earth where the total lunar eclipse is visible, this orange glow passes over the moon and it becomes the “Blood Moon”. There are two lunar eclipses in 2019, but only ONE total lunar eclipse. By the way, I DO NOT RECOMMEND listening to Delta Waves during this time. Delta Waves are connected with sleep and the lunar eclipse is already challenging our natural rhythms, and making some people very sleepy. Only use Delta Waves if you are having issues falling asleep; and only use them just before sleep to set a time to sleep. Kind of like taking a melatonin to set circadian rhythm. If you were to use Delta Waves in the morning or midday, I am concerned about your ability to drive and stay with it for work. Solar and Lunar eclipses always occur two weeks apart. Solar eclipses occur on new moons and lunar eclipses occur on full moons. Eclipses always come in pairs and they arrive every six months, like clock work because of the astronomy of the orbit of the moon around Earth and our orbit of Earth around the sun. Now, Vedic astrology does not suggest looking at eclipses. In Vedic Astrology, we use the knowledge of the eclipses to better understand that the people and the places on the planet for the eclipses will be affected greater in those regions (and even a sub-set of those in the area who’s personal Vedic Birth charts and karmas are being ‘lit up’ in a way for great change. The Vedic astrology New and Full Moons might sound like they are different, but it has to do with the sky map. This moons might sound different than Western Astrology, but Vedic Astrology and sidereal astrology and astronomers all use the same map! It simply means we describe what you actually see when you look up at the sky from Earth. So, the full moon actually resides in Cancer when you look to the sky this month on Jan 20 and Jan 21, 2019. Here is a PDF created by NASA itself and Fred Espenak. Thanks to their work, we can all see where the solar and lunar eclipses ‘are visible’ on Earth and how long they will last. 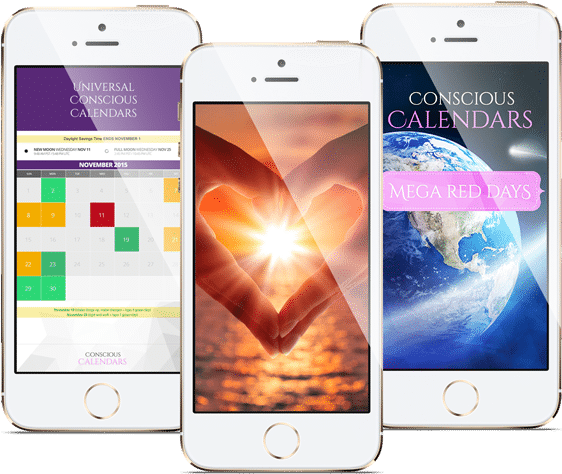 GET THE FULL CONSCIOUS CALENDARS EXPERIENCE ~ ONE YEAR OF CALENDARS AND MONTHLY VIDEOS AND HANDOUTS ABOUT THE ENERGIES OF THE MONTH, NEW AND FULL MOONS AND HOW TO USE THE RETROGRADES AND HARNESS THE HAPPY, BUILDING ENERGIES OF THE YEAR.